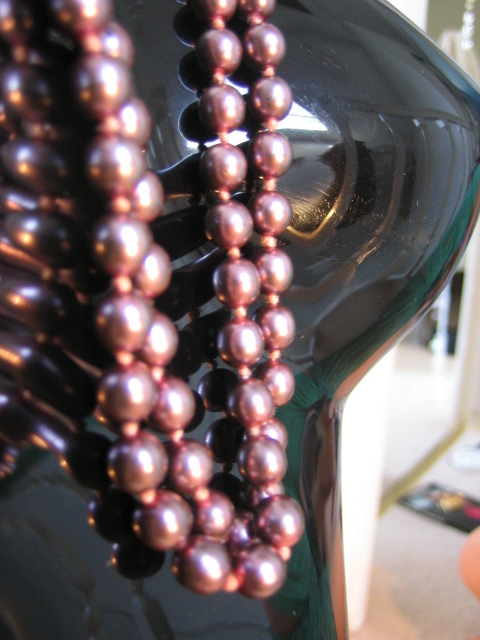 Vintage 1950s pink metallic beaded necklace. This is a long necklace of pink pearlised beads, individually knotted. The shops are full of such things at the moment, but this is a top quality, original 1950s item, made of a heavier plastic than is usual today. There is no clasp, it goes straight over the head, and can be worn single, double or treble. I have stated that the material is plastic, as I believe it to be; however, the fact that each bead is knotted (so that if the strand broke, you would not lose them all) shows the quality and original cost of the item. 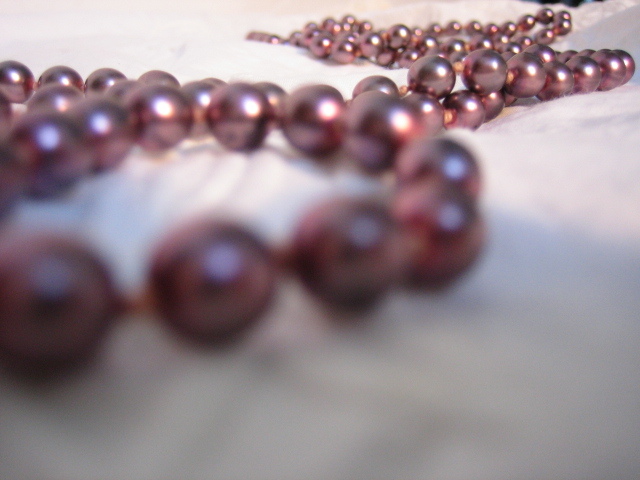 Usually, only pearls are knotted in this way. The thread is also pink.